The Cavern Today • View topic - Where's the cake? 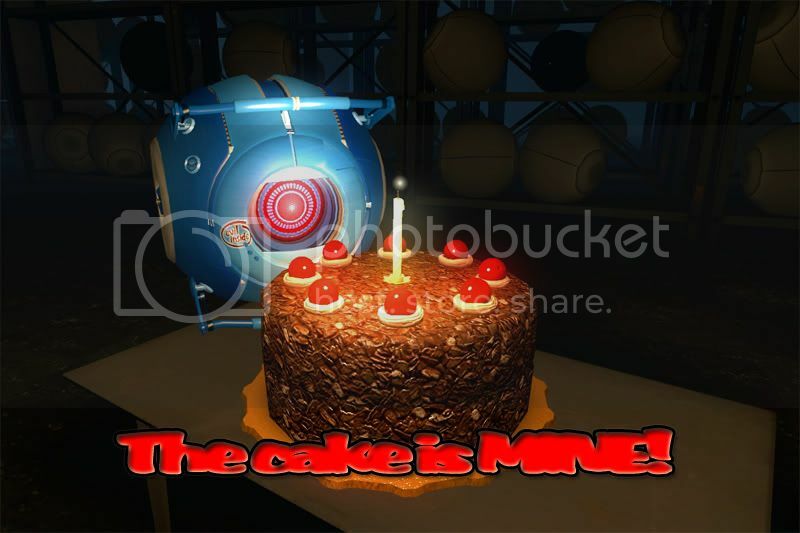 Post subject: Where's the cake? I don't see any cake in the building! Now that I have your vague attention, I have terrible news, my computer is going to hospital, it seems it can't boot up and a quick search on the net tells me that either the CPU or the motherboard committed suicide. So the computer is off to the computer repair place in a few days, with luck my many ideas, including my Uru based fanfiction, can be saved. Wish me luck! Post subject: Re: Where's the cake? I hope your data can be spared. Sorry to hear about the compy. Sorry to hear that happened. I hope your data can be recovered. Words, words is all you offer me. Don't you think I have enough of those things? Bad news, good news and bad news! The first bad news is my CPU is officially dead. A state funeral is being held next week. The good news is I have a new CPU. Wootism, and thing. And it's got Windows 7, not bloody Vista. Now I get why Sheldon hates Vista, so do I! The second bad news is, even though I have new old and new CPUs, I still don't know how to put the old files into the new computer. So I might as well put it out there, any ideas? Oh yea, I am alive and doing all I can to defeat the Demon Lord in both my Zelda game and here, but that bloke is upsetting the hell out of me and Link. A swift kick in the happy sack and he'll fall like any other, except Link can't do that. I provide you moral support on Steam and you muddy up the forums with your negativity? FOUL PLAY! He's backup and running better than ever - for those that care.